Storm Team 4's Erica Grow has your forecast for Sunday, March 18. This story is from Saturday. Click here for the latest updates on the storm. The latest track for what could be the fourth nor'easter to hit the tri-state in less than a month, this time landing on the first day of spring, includes potentially good news for the region. 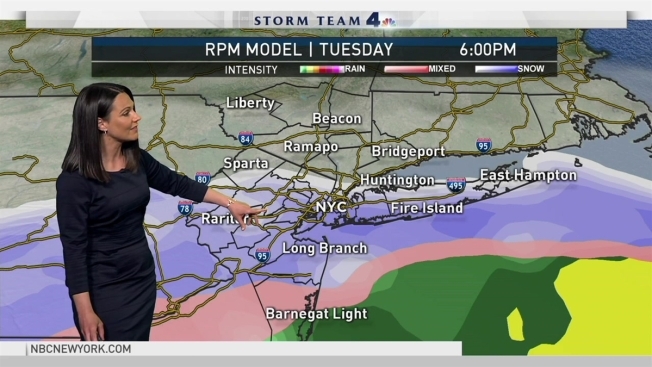 The data shows the storm tracking south and staying farther out to sea, which means the tri-state would see less rain, snow and wind, Storm Team 4 says. However, Storm Team 4 warned that it is too early to know with any certainty, and that the storm could track farther north than current model predictions, bringing a heavy period of accumulating snow and a wintry mix to the city and coast. At this point, it looks like the storm would impact the tri-state Tuesday night into Wednesday morning. Storm Team 4 says clouds would develop Tuesday — the first day of spring — before the mix of rain and snow arrives in the evening. Even if the storm does track north, March's warming temperatures and high sun angle would likely prevent a significant accumulation of snow, according to Storm Team 4. The exact timing, phasing, track and intensity of this nor'easter remain highly variable, but more clarity should come as the system continues to develop, Storm Team 4 says. Temperatures are expected to remain in the low-to-mid 40s into Tuesday, but highs may approach 50 by Friday. Temperatures will drop into the 20s overnight ahead of the New York City Half Marathon on Sunday, when skies will be sunny. The potential fourth significant winter storm comes on the heels of a trio of deadly nor’easters that ravaged parts of the tri-state this month, knocking out power to hundreds of thousands of people and crippling East Coast travel. Storm Team 4 says the active weather pattern is expected to continue for the remainder of March, meaning even more serious storms are possible. The first nor’easter in the series, on March 2, canceled thousands of flights and wreaked havoc on the region’s commuter rail systems, including Amtrak, which shut down its popular Northeast Corridor. It hit New Jersey and the Hudson Valley hardest, with Sussex County seeing more than 13 inches of snow and parts of Orange County getting more than 9 inches. The second, on March 7, knocked power out for hundreds of thousands of people in New Jersey and the Hudson Valley. Rockland and Orange counties recorded more than 20 inches and Passaic and Essex counties saw more than 20 inches. 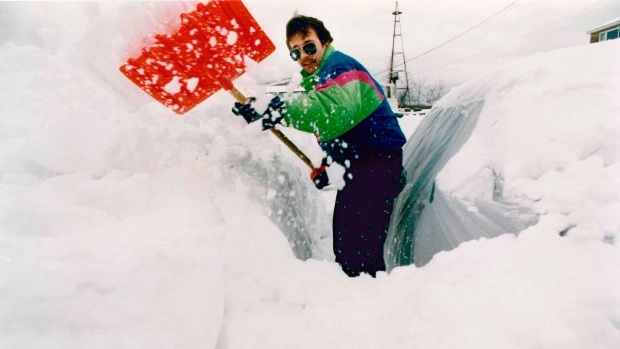 The third, on March 12, grazed most of the tri-state but hammered Long Island and Connecticut with snow. Southampton got more than 18 inches and Newtown recorded 11 inches. At least three people in the tri-state were killed in the nor’easters: an 11-year-old Hudson Valley boy was hit by a tree during the first; an 88-year-old woman was hit by a tree outside her Hudson Valley home during the second; and an unidentified New Jersey driver was electrocuted when he drove onto a live wire.